EASY DOES IT promotes calming and relaxation and helps nervous, high-strung horses of all ages. 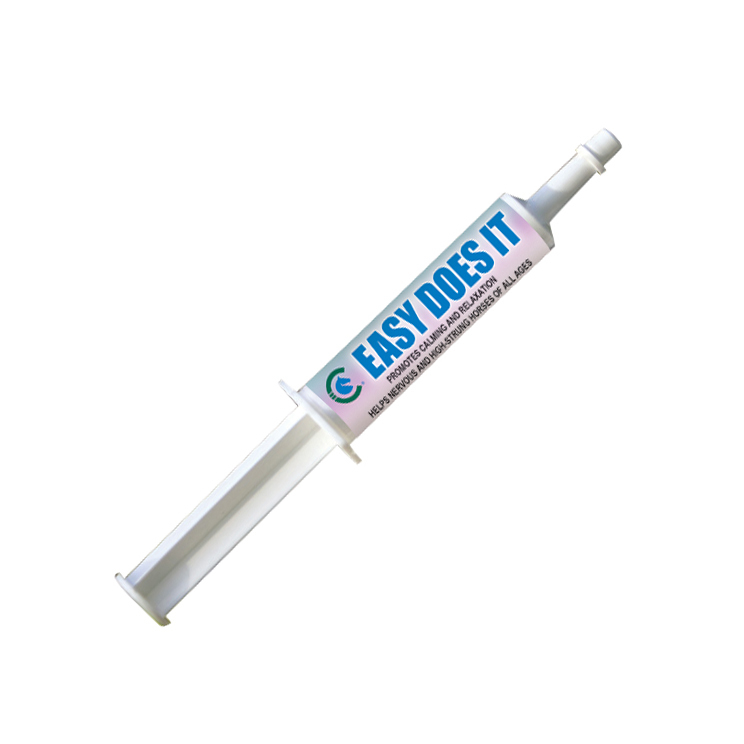 EASY DOES IT helps promote a calm temperament and emotional balance, and is recommended by veterinarians, professional trainers and champion riders, from coast to coast. Originally developed as a pre-race product for Thoroughbred racehorses, this supplement helps maintain horses in every discipline. Use EASY DOES IT to help keep horses at the top of their game and to help keep them from burning unnecessary energy. EASY DOES IT promotes a sense of relaxation and mental alertness without drowsiness. It supports nervous or concerned horses, along with mares and foals undergoing the weaning process. EASY DOES IT helps the anxious horse cope with the pressures of a changing daily routine. The easy-to-use formula makes for happy horses and happy owners. Give 1 tube (30 ml) orally the night before event and 1 tube (30 ml) orally 2–1/2 hours prior to event.